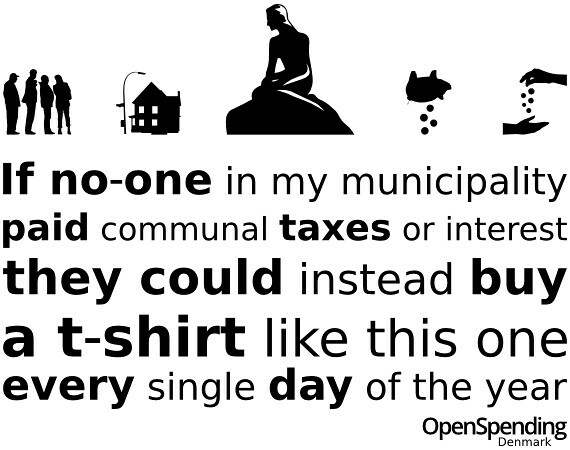 OpenSpending and Journalism++ are collaborating on a project we call How much is it really? The goal of the project is to create a webapp where users can type in a number to rough equivalents. The idea is that a reader of the news might be reading about how much it cost to built an airport. It might say it cost millions of dollars. The problem is that most news readers don’t have millions of dollars nor will they ever have. They can’t even begin to understand how much it is (but they do know that it’s probably a hefty sum). This news reader could then quickly go and type in the cost mentioned in the news article and see that this cost half of what another airport cost or double what the government spent on education. We hope that this webapp will help readers of the news, journalists or just about anybody better understand the numbers or start questioning where money is going. 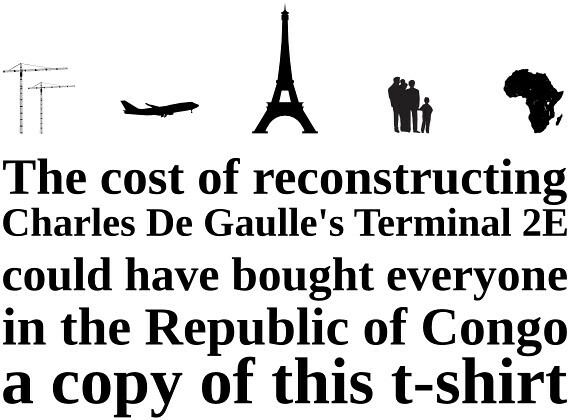 Why does it cost so much to build airports? Why not settle for something less expensive and improve education instead? The airports and education example is fictional. I don’t know how much it costs to build airports and I don’t have in my head the amounts governments spend on education. But an example like this is the best way to explain the idea behind the webapp.  Now OpenSpending and Journalism++ were invited to a meeting in Palo Alto by the funder of the project, The Knight Foundation (the webapp is a subproject of a bigger project called Spending Stories). At the meeting we wanted to quickly give people an idea of what the webapp was all about. Instead of giving people a fictional example of airports and education we decided to use real examples and link them to an amount people understand and if there is an amount hackers and activists understand then that amount would be the price of t-shirts with witty things printed on them. So we decided to print t-shirts with real examples on them. But what to put on those t-shirts? 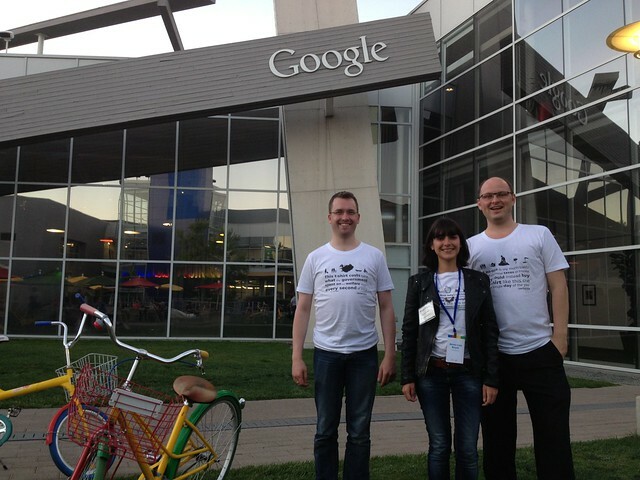 There were three of us going to Palo Alto and each of us from a different country: Denmark (Anders), France (Anne-Lise), and Iceland (me). That’s a great opportunity to give examples from all over te world (OK, not all over the world since we’re all from Europe). We just needed to look at data we had for each of those countries in OpenSpending. Then we had to write those examples down and create some pretty images (or just use the ones we have in OpenSpendingJS since they’re awesome). 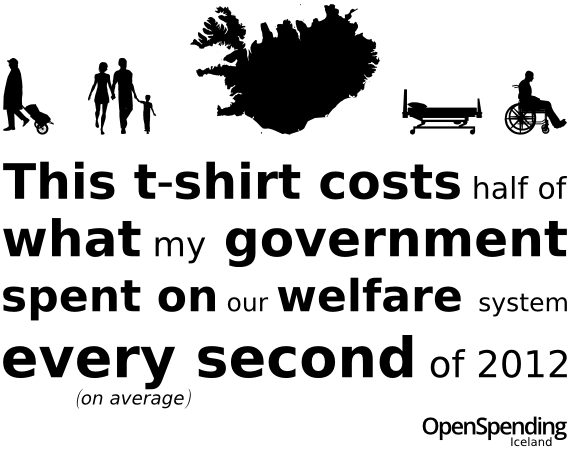 Now here’s one thing about that t-shirt. The image of the Little Mermaid (a monument for Copenhagen) is taken from flaticon and appears to be licensed under Creative Commons Attribution and the designer is said to be Freepik. The problem with that is that “Freepik is a search engine that helps graphic and web designers to locate high quality photos, vectors, illustrations and PSD files for their creative projects.” It’s not a designer. So I didn’t want to attribute this incorrectly on a printed t-shirt (I probably should have just gone with a silhouette of Denmark but it’s too late now). Anyways. See this as an attribution to Freepik but also me asking who the real designer is since I want to attribute the designer and not the search engine (and reimburse that designer for not attributing on the t-shirt). France was slightly more difficult than Denmark. There was no good data in OpenSpending – look at this as a call for action if you’re from France! However Anne-Lise pointed out a recent scandal that had popped up recently surrounding a charity website by Carla Bruni-Sarkozy. The cost of this charity website was about €410,000 which is way more than you’d need to create a WordPress site. What’s worse is that she paid for this site while she was France’s first lady… and she paid for it with public money!